The opportunities for enjoying the great outdoors are endless. 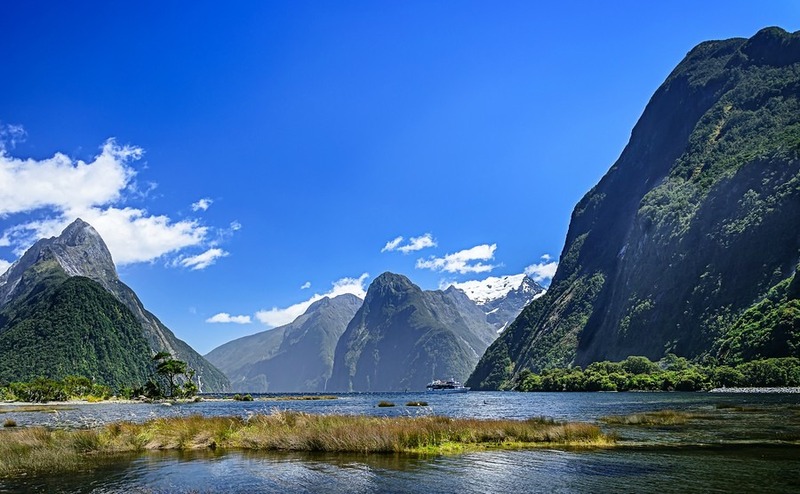 Here’s a quick look at some of the country’s most beautiful spots, so you know where to head once you can call New Zealand home. Scan any list of the most beautiful countries in the world and it’s inevitable that New Zealand will make an appearance near the top. This is a country with such an unbelievable and at times ‘other worldly’ landscape that fantasy film directors are clambering over one another to shoot here. 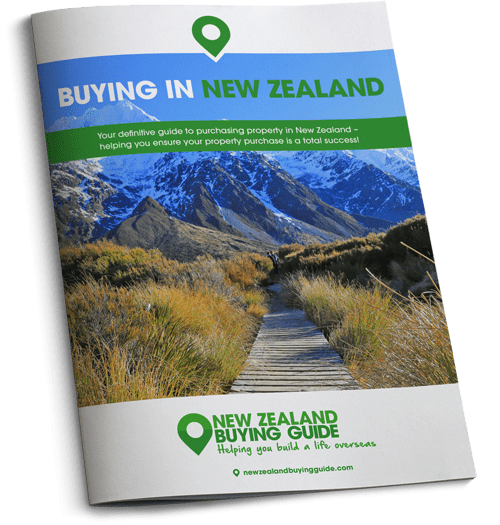 Whether you’re planning to relocate to the North or the South Island, city or countryside, one thing’s for certain – you’re never going to be left longing for a beautiful view to look at. Whether you’re an experienced hiker with all the gear, or you’ve never walked for more than half an hour in your life, there is a hiking trail for you in New Zealand. For complete novices who quite fancy seeing whether wilderness exploration is as much fun as it looks on the telly, set your sights on any one of New Zealand’s many hundreds of day hikes. These short hikes (or ‘tramps’ as they’re called in NZ) are great because all you need is water, a few snacks and enough hours in the day. Once you’ve worn in those walking boots, you can step it up a notch by tackling a multi-day hike. These allow you to dip a toe into the world of camping, while continuing to test out your fitness. 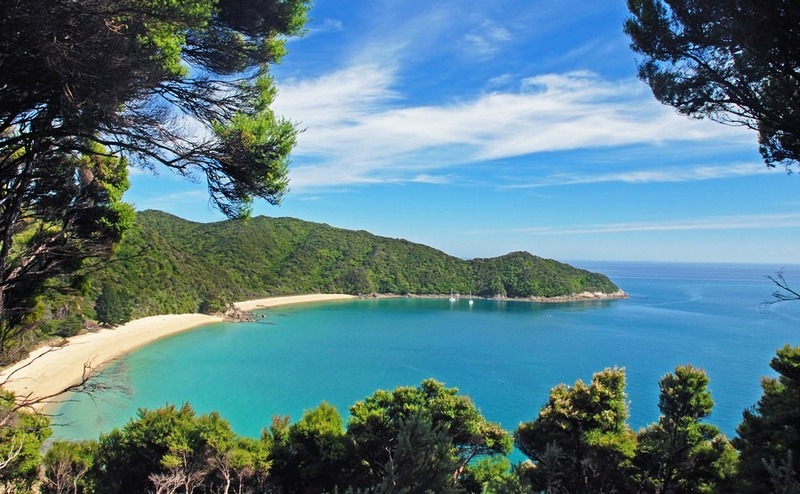 Abel Tasman National Park’s coastal track is the only one of the ‘Great Walks’ not located in the mountains. For those of you who want to immerse yourselves in the wilderness for days on end, there are the ‘Great Walks’ – New Zealand’s nine most scenic routes. These Great Walks are located on both the North and South Island, and all bar the coastal Abel Tasman track are in high country or mountainous areas. These routes are well-maintained, cover many different landscapes and range in duration from two to six days. TOP TIP: If you want to challenge yourself but would like to take a little of the hassle out of your adventure, you can book on to a guided tour. We recommend booking in advance, especially if you plan on going during high season, which starts in October and runs until late April. The Milford Track is located in Fiordland, New Zealand’s largest and most famous national park. The walk usually takes four days to cover, and follows historic Maori routes from Lake Te Anau all the way to Milford Sound, via spectacular forest-covered valleys, mountains and fjords. If this is the walk you wish to tackle, you’ll need to book well in advance. For the most diverse range of scenery, including panoramic views, waterfalls, forests and lakes, the Routeburn trek is the one for you. Typically hikers cover the 24 miles over the course of three days. This four-day trek takes you through lakeside forests, open grasslands, and along mountaintops before ending at the Fiordland National Park. When you have views like this to distract you, you might not even notice all the walking you’re doing. Those of you wanting to explore the ‘end of the earth’ will have to head to Stewart Island – New Zealand’s southernmost point, and the least populated part of the country. This is the perfect hike for you twitchers out there – the birdlife here is a sight to behold. If you’re looking for a relaxed hike without too many uphill battles, you should consider the Heaphy Track in the northwest corner of the South Island. This route is open all year round, and takes you past beautiful beaches and forests. This 31 mile route takes in many of the region’s incredible beaches. There is also plenty of accommodation en route. In 2018, New Zealand’s nine Great Walks will be joined by a 10th – the Pike29 Memorial Track, which will run for 45 kilometres through Paparoa National Park. The national park is being extended by 4,000 hectares (that’s 15.5 square miles) to include the Pike River area as a memorial to the 29 men who died in the 2010 mining disaster here. If you’re a Lord of the Rings fan this trek is unmissable. 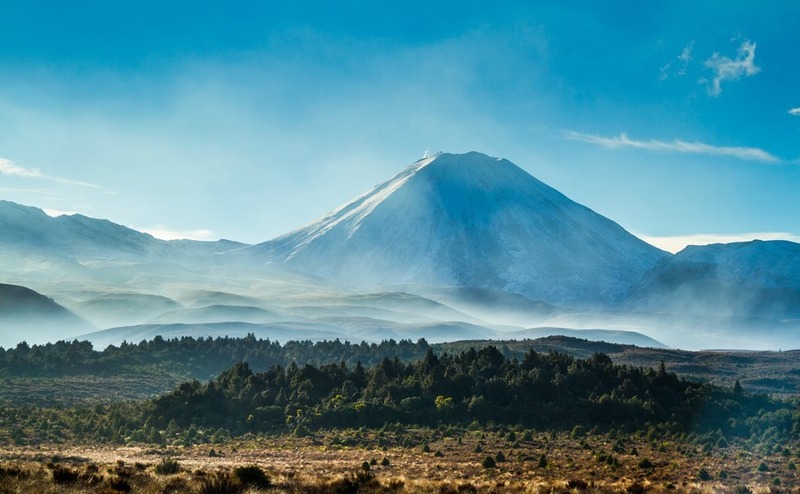 The three to four day trek starts and finishes at Mount Ruapehu, and takes in the region’s volcanic landscape – expect incredible lava formations, emerald green lakes, fumaroles and geysers. This route is best walked from late November until March. Should you only have one day to spare, The Tongariro Crossing, which is just one section of the full circuit, is a perfect day hike. Look familiar? Mount Ngauruhoe is Mount Doom in the Lord of the Rings series. If you’re in the market for a four or five day adventure, you could tackle this 28-mile track, which encircles Lake Waikaremoana. Bar one steep track, the route is rather leisurely, much of it running along rainforest paths. Exploring New Zealand’s countryside isn’t just possible on foot. Despite being included as one of the country’s ‘Great Walks’, the Whanganui Journey is a 145 kilometre kayak or canoe down the Whangauni River. This route, which should take four or five days to paddle, follows an important historic Maori route, and winds through lowland forest. Exploring New Zealand’s countryside isn’t just possible on foot. The Whanganui Journey is a 145 kilometre kayak or canoe down the Whangauni River. It may be remote, but the 10 kilometre track along the Coromandel Peninsula is well worth the journey. Set aside a whole day to enjoy the hike, which enjoys wonderful views over Sugar Loaf, Pinnacles and Great Barrier Island. If you find yourself in the very north of the North Island, try and find five hours to enjoy this loop. The track, which is mostly flat and easy to hike, winds between coastal forests and vast beaches. If you’re ready to buy in New Zealand, you’ll want to work out your budget. To do that you need to know how many dollars you will get for your pounds. Click here for a no-obligation currency quote.